Headquartered in Tigard, just south of Portland, Oregon, Plastic-Metals Technologies/PMT Shielding Solutions is an industry leader in vacuum metallizing principally engaged in the aerospace, defense, medical, and highly reflective coatings industries. Providing EMI/RFI shielding solutions for advanced technology systems in these industries has allowed us to expand our ability to bring you the latest available solutions for your company needs. Plastic-Metals Technologies is proud of the excellent customer service and on time delivery we bring to your product design and manufacturing teams. In addition to our extensive experience in metallizing, thin-film, and additive coating fields, we offer years of electronics industry product design, operations and manufacturing expertise. We also bring chemical and electronics engineering expertise to your project. You’ll find us a responsive and dedicated partner, and one that can further support your post-metallization needs. PMT Shielding Solutions & Plastic-Metals Technologies offers a unique and specialized process tailored for your project using physical vapor deposition (PVD) techniques. EMI and RFI shielding has been used in many industries for decades, but using the same technology to shield 30 years ago doesn't meet the needs of the high tech world of today. The evolution of parts, products, and emission levels have increased year-over-year, but engineers and companies still choose to have the oldest forms of shielding. Our goal is to provide you with a solution for your EMI/RFI shielding needs and cutting edge products. Traditional means include metal flake paints or thermal spray, copper or other metal tapes, dip plating, and high chemical coatings. 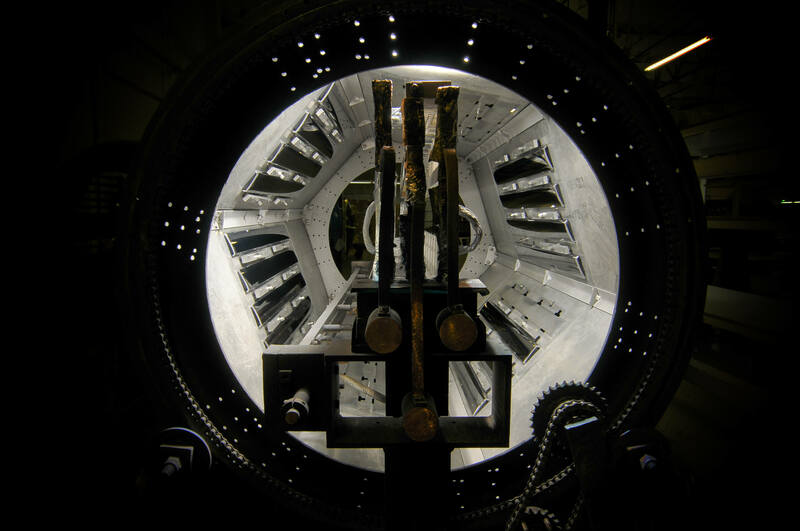 Vacuum metallizing involves heating the coating metal to its evaporation point in a vacuum chamber, then letting the metal vapor deposit onto the substrate's surface. The same process was used to deposit aluminum on the large glass mirrors of reflecting telescopes, such as with the Hale telescope. Vapor deposition is a family of processes used to deposit layers of material atom-by-atom or molecule-by-molecule mechanically bonding/laminating with a solid surface. A very high vacuum (low atmospheric pressure) is required to complete this process. What is EMI & RFI? RFI (Radio Frequency Interference), which is also known as EMI (Electromagnetic Interference) is any electromagnetic radiation or disturbance which is emitted from an electrical circuit or electronic component that interrupts or interferes with the operation of other electronic components, or electrical circuits. RFI or EMI may be introduced intentionally as in the case of electronic warfare, or unintentionally from an electronic or electrical device or system. Why choose PMT Shielding Solutions 1-micron, Two-Layer System for your shielding needs? PMT Shielding Solutions uses Physical Vapor Deposition (PVD), which means NO chemicals are involved, only metals from a solid state. The vacuum allows vapor particles to travel directly to the object (substrate), where they condense back to a solid state, thus creating a 1-micron layer consisting of two layers of metal and serving as an extremely dense and high performing EMI/RFI shield. The two-layer system is what sets PMT Shielding Solutions and Plastic-Metals Technologies apart from any other EMI/RFI shielding company. With proven independent test results, we have found that the combination of Copper and Secondary metal (Aluminum, Nickel) is far superior to a single stage process, and actually provides a more stable, durable, and consistent surface. © 2018, Plastic-Metals Technologies. All Rights Reserved.